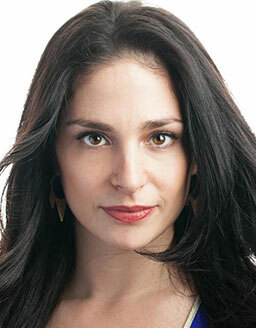 Iva Kravitz and her team know the leaders of NY’s design community. We have developed a wide-reaching network of resources to work on your marketing programs including writers, web and graphic designers, photographers, videographers, editors, digital content consultants, presentation coaches, and social media wizards. Iva Kravitz, Associate AIA, has been marketing creative services since 1986, working with architectural, interior, graphic, lighting and landscape designers as well as real estate clients to expand their businesses. She is also a committed citizen, working to promote a greener approach to design, to establish social justice and actively engaged in her work with several nonprofit groups. Iva has moderated public panels for the Society of Marketing Professional Services (SMPS) and the American Institute of Architects (AIA). Publications include articles in SDA Journal, Food Arts, Healthcare Design magazine and Oculus, the NY Chapter newsletter of the AIA. She has lectured to the American Society of Interior Designers New York Chapter, the Chinese American Real Estate Association, Surface Design Association National Conference, Surtex for George Little Management and the Fordham Business School. 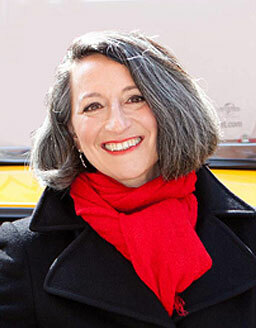 She is a member of the Center for Architecture and the New York Chapter of SMPS. With 15 years of public relations and marketing experience, many working within agencies, Stacey’s background includes deep media expertise and relationships with both consumer and trade press; event management and execution, both trade show and consumer; day-to-day client relations; and PR and marketing communications strategy. Starting out working with a variety of types of clients, Stacey came to realize that her passion was design and left the agency world to focus on this niche. A critical thinker, Stacey is seasoned in developing and executing media strategies tailored to the needs of design clients. From profile, project and brand feature stories to inclusion in product-specific pieces, Stacey ensures that client goals are consistently exceeded. At The Iva Agency, Stacey has worked on several accounts including TPG Architecture, Handel Architects, US Modernist Podcast and the Landscape Architecture Foundation. Independently, she continues to consult on various design-centric accounts including Niche, RE.BIN and WantedDesign, an international design show that, as part of NYCxDESIGN draws over 12,000 professionals from all over the world each May. In addition to press outreach and brand development and planning, she is well versed in social media, having handled social media strategy and campaigns on Facebook, Twitter and Instagram platforms. Other clients have included: Hellman-Chang, Lalique, Ruby + George, Studio-Tag, 3form, Restoration Hardware, One Kings Lane, Glen & Company and think! architecture. Stacey holds a BA from Pace University in English and Communications.